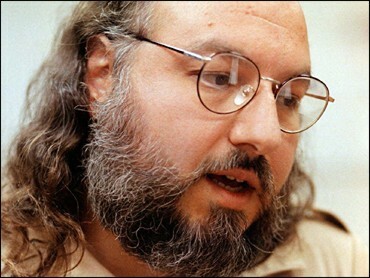 Convicted Israeli spy Jonathan Pollard was scheduled to return to the same courthouse Tuesday, where 16 years ago he was sentenced to life in prison, as another judge considers procedural matters in Pollard's long campaign to reduce his sentence. It will be the first time Pollard has been seen in public since 1987, when he received life imprisonment. Whatever Pollard says or does in court it isn't likely to do him much good, says CBSNews.com Legal Analyst Andrew Cohen. Sentences are rarely altered on appeal and in this case Pollard has the additional hurdle of trying to get classified information which would help him make that appeal. So even if he wins this particular round it won't mean he'll get his sentence reduced. Pollard claims prosecutors reneged on a promise to seek a lesser sentence in return for his cooperation. The hearing won't settle that matter; Pollard's lawyers hope only that U.S. District Judge Thomas Hogan will keep the case alive and allow them access to old classified papers. Pollard, 49, is serving his sentence at a federal prison in North Carolina. His wife has said he is ailing. Hogan did not explain why he ordered that Pollard be brought to Washington for the hearing. Government lawyers won earlier rounds in Pollard's court fight and argue Pollard should not be allowed to press the case further. Prosecutors also want to keep Pollard's new lawyers from seeing secret documents the government filed just before Pollard was sentenced. Pollard's lawyers argued in court papers that their client got bad legal help at his sentencing and that he should be allowed to continue challenging the sentence. His original lawyer failed to file paperwork that would allow an appeal, the new lawyers contend. Pollard, a former civilian analyst for the Navy, was convicted of espionage for giving Israel tens of thousands of top-secret documents. He pleaded guilty and agreed to cooperate with prosecutors, but he later argued that the government double-crossed him. Prosecutors had promised not to seek a life prison term, which was the maximum he faced, his lawyers have said. In 1987, Pollard told the sentencing judge, "I have come to the inescapable conclusion that while my motives may have been well meaning, they cannot, under any stretch of the imagination, excuse or justify the violation of the law." Pollard's life sentence was the most severe prison term ever given for spying for an ally. His supporters claim the judge who sentenced Pollard relied in part on misleading information from the government. Behind the scenes, successive Israeli governments have asked the U.S. to release Pollard, and allow him to move to Israel, reports CBS News Correspondent Robert Berger. Pollard was granted Israeli citizenship in 1996. The U.S. refusal to release Pollard, who is in poor health, has been a thorn in the side of U.S.-Israel relations for more than a decade. It's a popular issue in Israel. Recently, 112 out of 120 members of parliament signed a petition calling for Pollard's release on humanitarian grounds. Some Israeli officials accuse the U.S. of a double standard, urging Israel to release dangerous Palestinian prisoners, while keeping Pollard behind bars. Pollard's supporters in the United States also routinely request that he be pardoned. A 1998 U.S.-brokered peace accord between Israel and the Palestinians nearly foundered when then-Israeli Prime Minister Benjamin Netanyahu reportedly linked his agreement to the deal with clemency for Pollard. Then-President Clinton said he had promised only to review the case. During deliberations on clemency, CIA Director George Tenet had told Clinton he would quit if Pollard were freed. Pollard's case was reviewed by federal officials in 2000 but he was left off the list of those granted clemency just before Mr. Clinton left office.